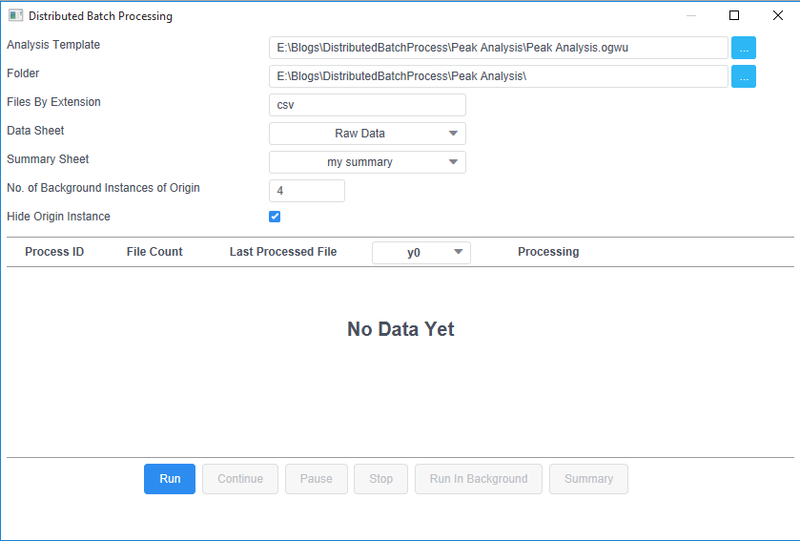 The Batch Processing tool in Origin allows users to perform repeat analysis on multiple datasets by using an existing analysis template. In some sophisticated Origin projects, handling a large number of data files in batch processing always takes many hours to finish. In tasks like this, batch process is running on one Origin instance which is time consuming. 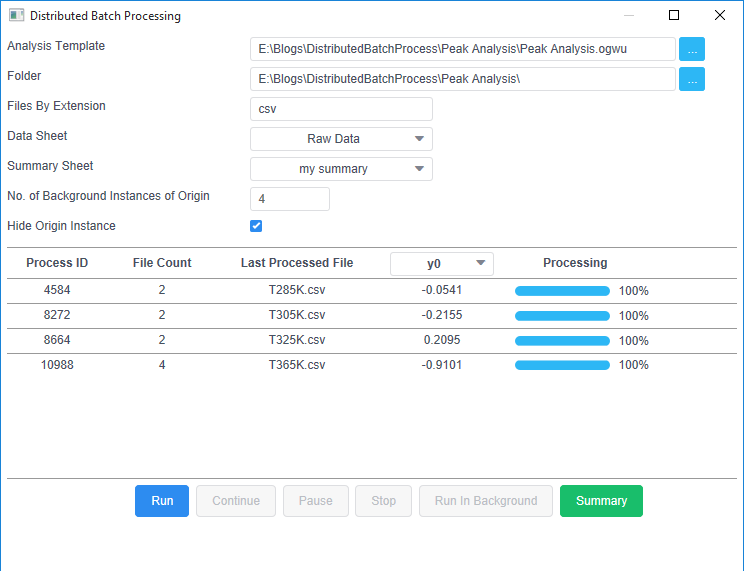 In this blog, we will show you a new tool to distribute batch process datasets to multiple Origin instances using Distributed Batch Processing app. To run this app, your Origin version needs to be 2018b or above. Please first download the attached zip file and extract it to your local disk. 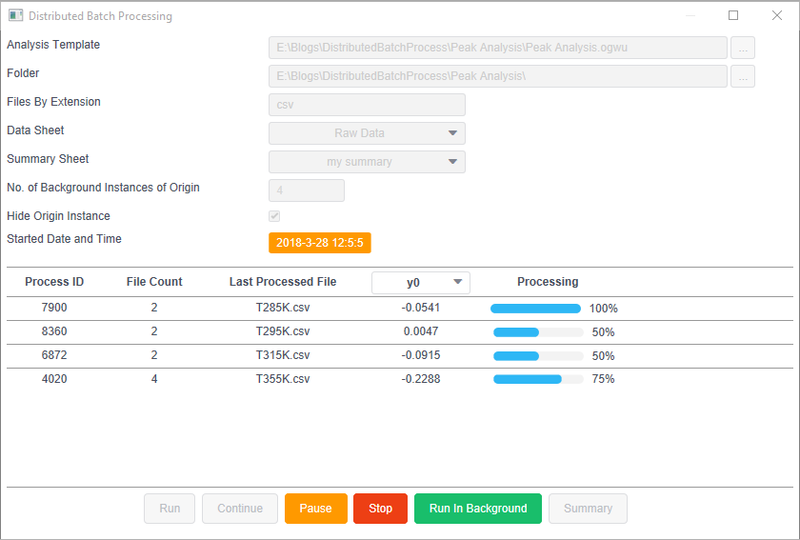 The zip file contains an analysis template and a bunch of data files well prepared for batch processing. We will show here a simple example on distributing data files into Origin instances which will run in the background allowing the batch processing speed to accelerate. Click the Add Apps icon in the Apps window in the right side of Origin interface. In the App Center, select search in the left, and enter Distributed Batch Processing in the search window. Click the Install button to install the app. Analysis Template: Select the analysis template downloaded. Folder: Select the folder containing the files containing the dataset to process. Files By Extension: You can specify the extension of the files desired (wildcard supported), the app automatically selects files accordingly. CSV format is the default and we leave it as it is. 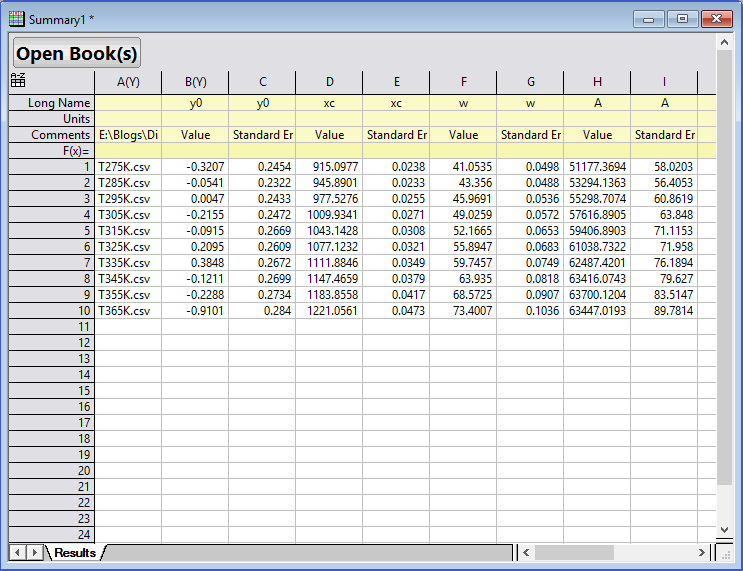 Data Sheet and Summary Sheet: Select Raw data and my summary in the dropdown lists. Data sheet is the sheet in the analysis template to import the data to, Summary sheet contains the analysis result to be added to the final report. No. of Background Instances of Origin: Set it to 4. This setting is to specify the number of Origin instances to distribute datasets to. The app chooses the optimal number of instances, we increase it to 4 for now. Hide Origin Instances: Check this box. If checked, origin instances will be running in the background. Click Run to start the batch process. 2. During processing, files will be distributed among all Origin instances. The counts of files assigned to each Origin instance are listed in the table. 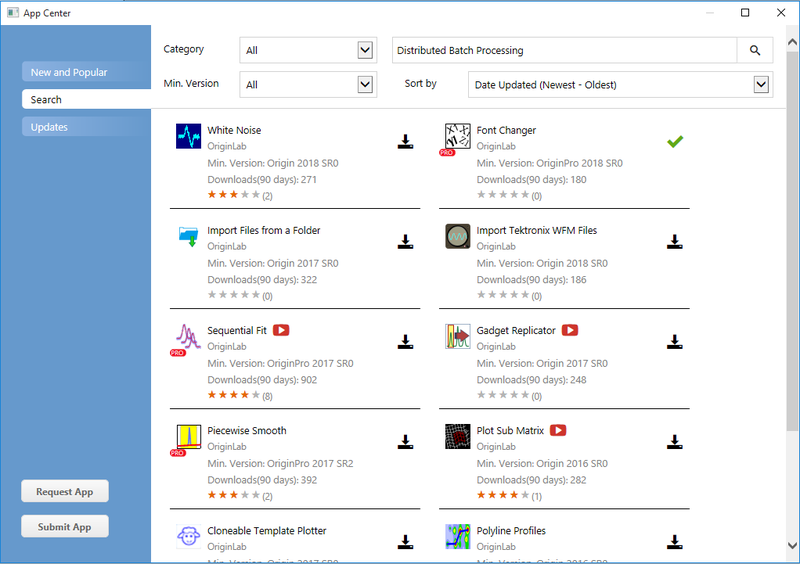 The progress bar updates with completed files. What is nice about this tool is that you can close this dialog and work on your other tasks in the Origin project. The batch process will run in the background and will not interfere with your current project. You can click the app icon anytime to check the progress.